Passed class 12th or equivalent qualifying exam with a minimum 60% aggregate. Minimum 55% aggregate in qualifying examination. 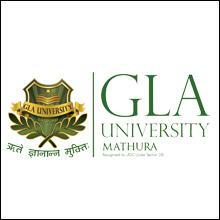 Education Qualification: For admission in GLA University, candidates must score at least 60% aggregate marks in 10+2 for General/OBC candidates whereas, for ST/SC candidates, the minimum score required is 55%. Age: GLAET 2019 age limit, candidates must be at least 16 years for B.Tech courses and for B.Pharm minimum age of candidates should be 17 years. Other Courses: GLAET 2019 exam is not applicable for PhD courses. Minimum 60% marks in 3 years diploma or B.Sc with 60% marks.